Ahead of E3 2015, EA has revealed new details on the launches of two hotly anticipated games: Mass Effect: Andromeda, which has now been delayed to "early 2017"; and Titanfall 2, which will launch in EA's fiscal third quarter. 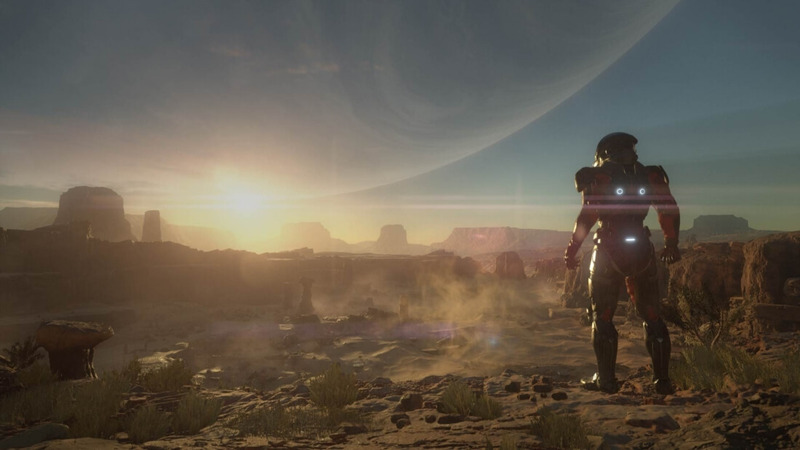 Mass Effect: Andromeda was originally slated for launch in the holiday period of 2016, but developer BioWare has now realized that their team needs "the right amount of time to make sure we deliver everything the game can be and should be." This sees the game pushed back by a few months, and it's now expected to launch in the first few months of 2017. As the title would suggest, Andromeda is set in the Andromeda Galaxy, long after the events of the original trilogy. Not much else is known about the title, although it is currently in development for Windows, Xbox One, and PlayStation 4, and will use EA's versatile Frostbite engine. With Titanfall 2 set to launch in EA's fiscal third quarter, which runs from October to December, the game will be released around the same time as EA's other major multiplayer shooter, Battlefield 1. It's an interesting move for EA, but the company is clearly confident that gamers will want to enjoy what both titles have to offer. More information about Titanfall 2 will be revealed at EA's pre-E3 press conference this year, although it's already known that the game will feature a traditional single-player campaign, unlike the original Titanfall. It's also expected to launch on PlayStation 4 alongside Windows and Xbox One for the first time.